Same Day Service in the Brisbane Area! You can be assured of a removal service that will treat your valuable belongings with the highest regard. 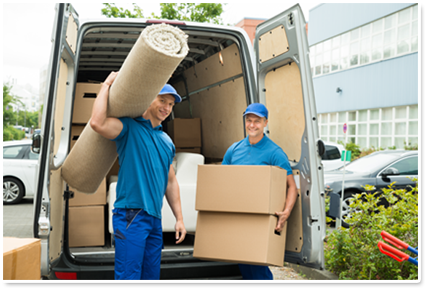 When looking for reliable furniture movers that Brisbane trusts, you need to be assured of a removal service that will treat your valuable belongings with the highest regard. You also want to be certain your removalists handle your personal belongings in a clean and discreet manner, guaranteeing their safe delivery. At Platinum Furniture Removals, we are dedicated to meeting the needs of our clients on all our jobs with our fast, reliable and low-cost service. Please Feel Free to Check Out Some of Our Reviews! 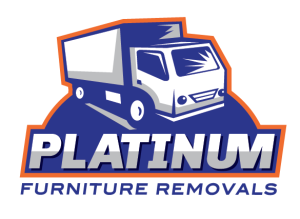 Why Choose Platinum Furniture Removals? Moving house can be one of the most stressful activities you will ever undertake. This is especially true if you’ve lived in the same home for many years. In fact, many people tell us that they are overwhelmed and don’t even know where to start when it comes to house relocations! Moving to a new home is not something you need to panic about. As the moving company Brisbane trusts, we have come to your rescue! With our depot strategically based in North Lakes, our team has fast highway access to all Brisbane suburbs from Narangba, Bald Hills and Eatons Hill in the north to Sunnybank, Springfield Lakes and Beenleigh in the south. We know the roads around Brisbane well and to make sure that your belongings are moved safely, our GPS navigation is set on all loaded trucks to avoid speed bumps on route to our customer’s destinations. Our GPS navigation also ensures that our trucks will arrive on time using the quickest possible route, further ensuring that the removal time will be kept to its absolute minimum. Book or Enquiry With Us Today! When using our professional moving service at Platinum Furniture Removals, you can relax about your move. Once you confirm your booking, we will arrive on time and give you a call 30 minutes before the arrival time. Our team will arrive with the correct equipment, and they’ll be polite and helpful. Repeat business is very important to us. For this reason, all our staff strives to give you great service and make your move to your new home as simple as possible. We receive many recommendations from happy customers who chose to use professionals instead of doing their move themselves. While moving yourself is a possibility, there are a lot more steps to take care of than just calling Platinum Furniture Removals and being sure we will turn up at the right time on the right day. Platinum Furniture Removals understands that every so often emergency strikes and you need to move house fast. That’s why we offer an emergency moving service to help local residents who suddenly require last-minute move. Our packers can come in and pack up your goods at short notice. We even have storage facilities if the new premises isn’t quite ready for your goods to arrive. So use the local team Brisbane uses for service and price. We have really thought of everything to make the moving process as smooth and painless as possible! Booking Your Removalist – Book your removalist early so you can get moving on your preferred date. Weekends and public holidays are our most popular moving times, so it pays to confirm your moving date early. Start Packing Early – Get your house packing started well ahead of time. You should also plan to take your furniture apart at least by the night before. If you know you’ll need help to take apart any of your furniture on the day, be sure to contact us and make us aware so we can make sure you’ve been quoted the correct rate. Children and Pets – Make sure you’ve planned for small children or pets to be looked after on the day you plan to be moving house. Taking care of all these details means that you can relax just a little more on the day. Remove Unwanted Items – Give away, sell or throw out any items you no longer need. By making sure you get rid of any rubbish or excess belongings, you aren’t paying us to move boxes of goods that you will only discard at your destination when you unpack! This will save you money on moving day! 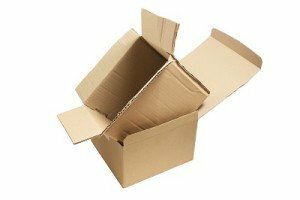 Order Packing Materials – Order your packing materials ahead of time so that you can do a little bit of packing each day leading up to your move. If you’re not sure how many boxes you should need, please ask us. We have created specialised packs based on the size of your home. We even throw in the markers so your boxes will be organised and easy to unpack in your new home. Service at the Right Price – One of the main complaints we hear about moving companies is that the price changed on removal day. Platinum Furniture Removals will never do that to our customers. Experienced Commercial and House Removalists Brisbane Wide! Not Enough Time to Pack Yourself? Use Our Prepacking Service Instead! Did you know you don’t have to do all your packing yourself? You can use our pre-packing service to save you the hassle. Our professional packers will come in and pack up your belongings for you. They will bring all the materials they need and will even label the boxes for you. One of the big benefits of this service is obviously that you’ll save time and energy when moving house. You’ll also minimise the chance of breakages as our packers have done this hundred’s of times before. Those moving to another country should definitely consider this service for their household items. Our team comes in, and you don’t have to worry about a single detail! Imagine how much easier your house move would be if you could leave the packing to someone else? It’s worth enquiring about this service – you may be surprised at how reasonably priced our pre-packing service is! Your decision to move to a new home can be made a lot easier by using a professional. We’ve helped thousands of happy customers to have an easy move and we’d love to help you too. So when you need trustworthy moving company, look know further than the team at Platinum Furniture Removals. Furniture removal can be a hassle and stressful at the best of times. Whether it is lifting heavy items, navigating tight spaces, or getting furniture up and down stairways, these tasks can prove to be both strenuous and arduous. However, investing in a quality furniture removalist company can take all the hard work and headache out of moving home or office. When attempting to remove and transport furniture yourself there are a number of risks involved, including personal injury, damage of your precious items, as well as being a time consuming process and a cause of stress, navigating local traffic to get from point A to point B. With furniture removalists, any stresses and possible risks can be taken out of the equation and allow the owner to focus on matters more important to them. The actual bottom line can be saved too, eliminating the need to repair items broken items, purchase boxes, bubble wrap and anything else that is required when assets are moved on your own. This is why hiring a furniture removal specialist is essential to avoid added costs, incurring injury or damage and experiencing unnecessary stresses. We understand that moving home can quickly become overwhelming and daunting, at Platinum Furniture Removals Brisbane we are with you all the way – start to finish. From the moment you contact us for a quote to the second our work is completed, you will always feel well looked after and in capable hands. Relocation is never an easy task. Allowing professionals to handle the job for you will take all the hassle out for you – through expert knowledge and skill and providing quality services everytime Platinum Furniture Removals should be your automatic choice whenever you are looking to relocate your furniture. Platinum Furniture Removals takes care of all the hassle and headaches that may come along with Brisbane home and office relocation such as offering pre-packing services, providing both local and interstate removals, even offering bond cleaning services and much more. 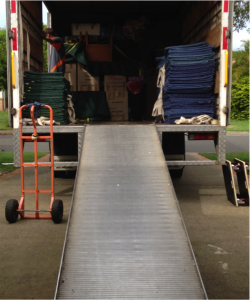 Brisbane home and office removals and relocation is made easy, simple and stress-free with Platinum Furniture Removals. Our efficient and transparent team work with you to find the perfect options for all your home and office removal and relocation needs without breaking the bank. No bill shock, no nasty surprises – you will feel secure from the get-go that all quotes are honest and transparent to suit your budget. Our highly skilled removalists will always strive to provide you with exceptional service while making your life a lot easier. 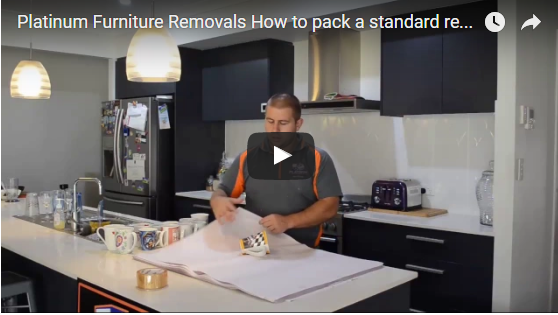 Our team prides themselves on always providing the ultimate in stress free home and office removals Brisbane and you with that you won’t find any better than Platinum Furniture Removals. All of our removalists are highly trained and qualified with the absolute bare minimum of 2 years experience and this allow us to hold an extremely high standard when it comes to moving your furniture. We look after your furniture with the utmost care and respect and treat it the same way we would expect our own furniture to be treated. 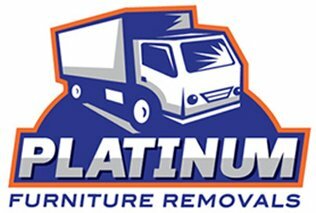 Platinum Furniture Removals is honoured to provide trustworthy, extremely capable and dependable Brisbane home and office removalist services. Our qualified and professional team will not only meet your expectation every time we will exceed them, with our second to none customer service and expertise proving to be head and shoulders above any competition. We strongly believe that you should not have to face any stress when moving your furniture safely. Your satisfaction is our main priority. When it comes to furniture removal, our motto is “Look No Further”. At Platinum Furniture Removals Brisbane you will feel confident that your furniture is truly looked after and will arrive at your new home or office safely, without the stress. Book now and talk to our Removalists Brisbane Team today. Fabulous service, Adam went out of his way to make sure everything worked out perfectly. They arrived on time and the day panned out exactly as expected. The truck was the perfect size for our load and our gear was delivered undamaged. Thank you so much for a smooth and pleasant moving day experience! Highly recommend this business. The team was incredible from start to finish - I had two lovely gentlemen help with my move. Polite, professional, efficient and thorough! I couldn’t have had a better experience. They took great care of all my belongings and were absolutely lovely! Great removal service and well priced. Removal guys are hard working and get the job done. Thanks to Chris and Dale for helping with the move today. I would highly recommend to others. These guys are so genuine, friendly, and dedicated. Would recommend them to anyone. They're very organised and very professional. Amazing hard-working guys that went the extra mile to ensure that the transfer of our belongings to our new house will be stress-free and hassle-free. Great Job. Would definitely recommend.